Pupil premium is an allocation of funding that is given to us by the government to support children who may be vulnerable to under achievement. The amount we receive is based upon the number of children that we have who are entitled to Free School Meals (FSM) or who are Children In Care (CIC). 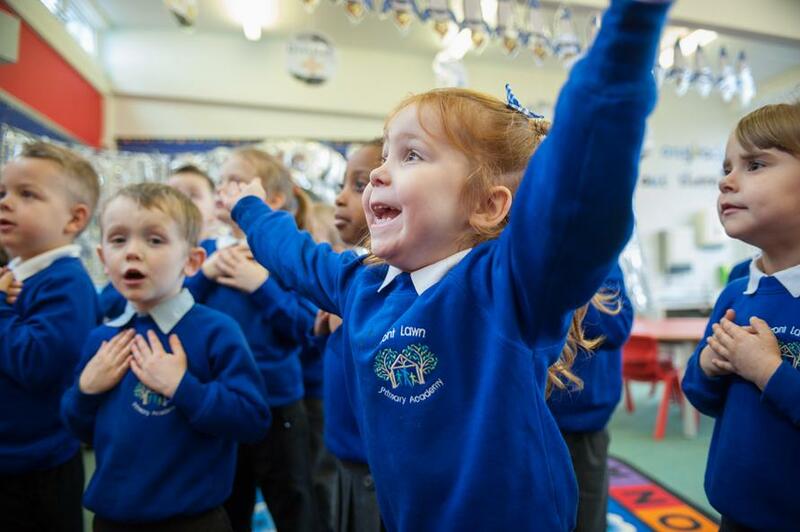 As a school, we have a responsibility to report on teh progress of children receiving pupil premium; demonstrate how we are using the Pupil Premium Grant (PPG) and the impact it is having on children from disadvantaged backgrounds. To ensure that children from disadvantaged backgrounds (FSM / CIC) are able to make the same progress as, or better progress, than their peers. This academic year our Pupil Premium Funding will be approximately £211,000. Additionally, we receive £4000 in Nursery Pupil Premium funding. This plan can be found on our Nursery page. At Front Lawn, we use this money to fund some important initiatives in our school. These initiatives are focused on raising academic standards, particularly in Maths and English, as well as supporting children's emotional and behavioural needs to enable all children to learn effectively. Please read the plans below for a more in-depth breakdown of our Pupil Premium spend. Parents can check eligibility for free school meals via the web link below. If eligible, you are not obliged to take the free school meals but we do encourage applications as the additional funding we would receive would greatly benefit the provision we offer at school.